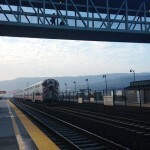 Over the last decade, Caltrain has experienced record-breaking ridership increases, and with the Bay Area’s growing population, the surge in ridership is not expected to slow anytime soon. 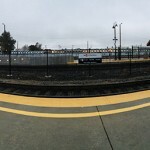 The Caltrain Modernization Program, scheduled for completion by 2020, will electrify and upgrade the performance, operating efficiency, capacity, safety and reliability of Caltrain’s commuter rail service. 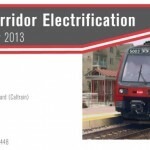 Circlepoint has been working with Caltrain on its modernization projects since 2013 when we assisted with public outreach for the Environmental Impact Report (EIR) for the Peninsula Corridor Electrification Project (PCEP). 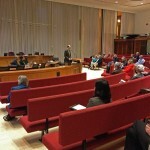 Our efforts focused on helping Caltrain boost turnout at public meetings and promote PCEP as separate from the somewhat controversial future “blended service” with California High-Speed Rail (CAHSR). Our use of social media to publicize public meetings helped create turnouts that exceeded expectations. Additionally, there were very few public comments on the Draft EIR related to CAHSR, indicating our success in keeping the public focused on PCEP. 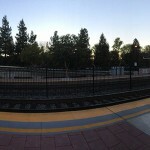 Our work with Caltrain continued with construction communications and public outreach for the Communications Based Overlay Signal System (CBOSS) Positive Train Control (PTC) Project. In addition to providing a steady stream of information to keep the public aware of construction activities and progress, we also had to take the complex technical information about CBOSS PTC and translate it into what CBOSS PTC really means for the public—a smarter, safer, more dependable Caltrain, with faster and/or more frequent service once the new technology is combined with new Electric Multiple Unit trains (EMUs). 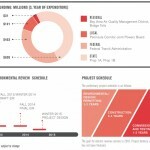 The $1.9 billion Caltrain Modernization Program encompasses many complex and distinct components. It can be confusing and overwhelming to think about all the different parts separately. 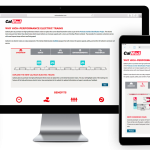 In order to bring cohesion and consistency to program communications, Circlepoint collaborated with Caltrain staff to rebrand the CalMod program and subprograms. Our team worked to develop a brand story, targeted messaging, overarching brand architecture, and brand guidelines. 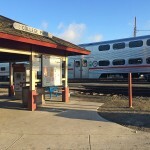 The updated brand creates a relationship between Caltrain and the public, and makes a promise to the public that they will know what to expect when they are receiving information about the CalMod program. 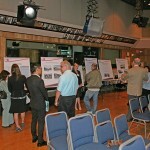 Our team worked closely with Caltrain staff to develop a modern and highly engaging microsite (calmodtrains.com) to educate the public about the new EMUs that will replace the current diesel fleet. The microsite is optimized for viewing on mobile devices and incorporates multiple interactive elements and features for gathering visitor feedback. For example, we developed fresh and unique branded exterior design options for the new EMUs; which the public then voted on via calmodtrains.com to select the winning design. Over 6,300 votes were tallied during the 7-day poll, exceeding expectations for public engagement. Currently, Circlepoint is providing ongoing planning support for community meetings and stakeholder briefings, as well as graphic design, web design, media relations and event support services.